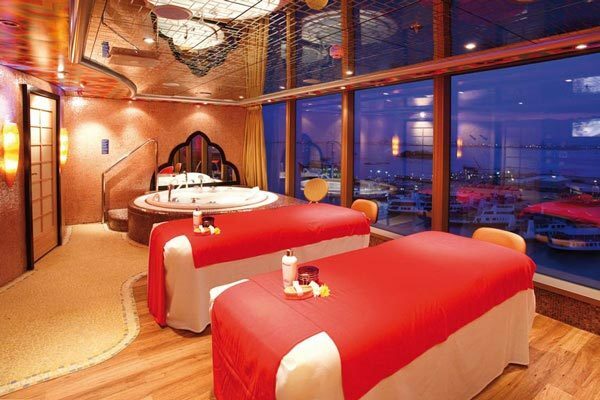 The Vela Deck features the Samsara Spa. 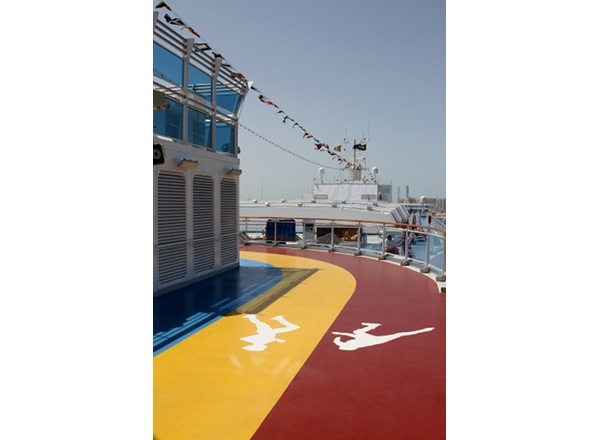 The Pegasus Deck features a tennis and basketball court, jogging track, and the first ever Grand Prix simulator onboard a ship. 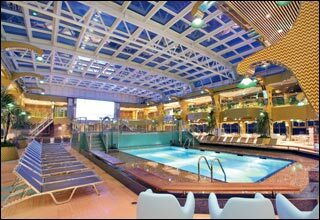 The Virgo Deck features suites in category SO, as well as the Samsara Spa, Venus Beauty Salon, Bacco Club Restaurant, the Squok Pool for children, and the Iris Pool Solarium. 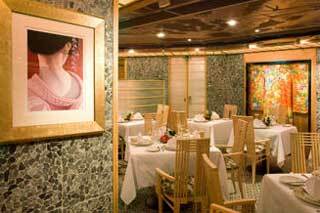 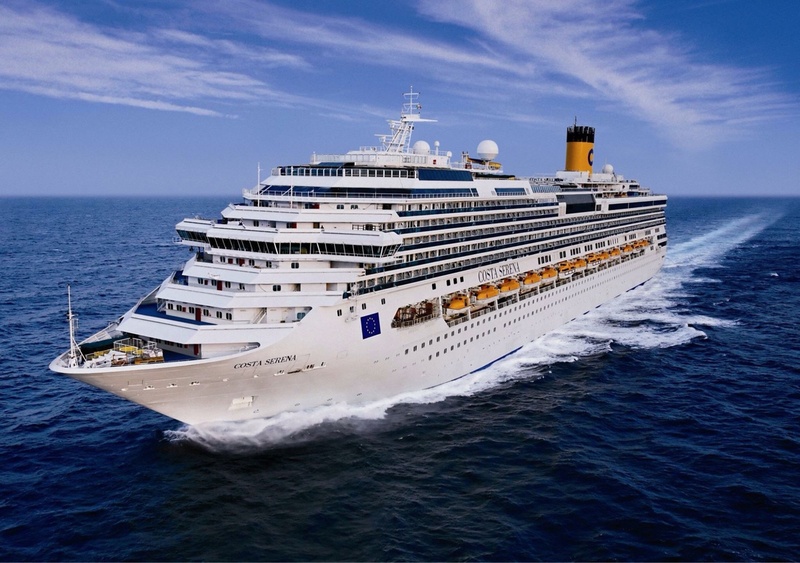 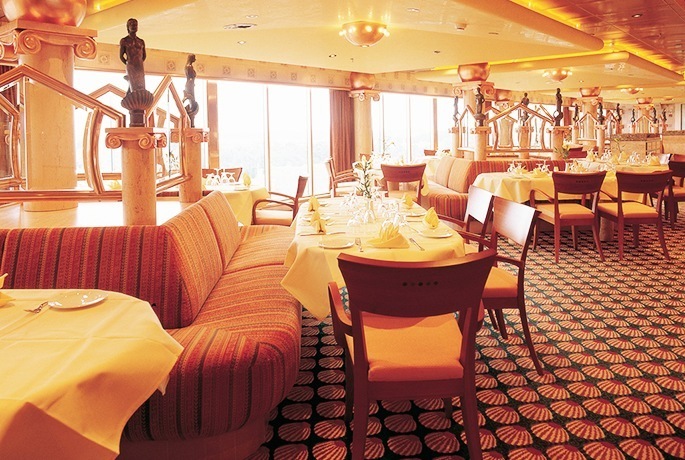 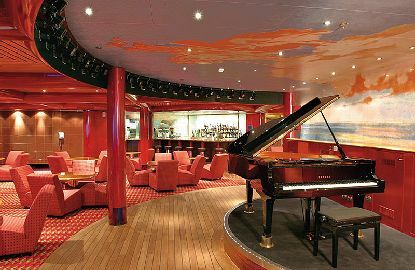 The Taurus Deck features staterooms and suites in categories SU, SM, SB, and SI, as well as the Prometeo Buffet Restaurant, the Solarium, and the Squok Club. 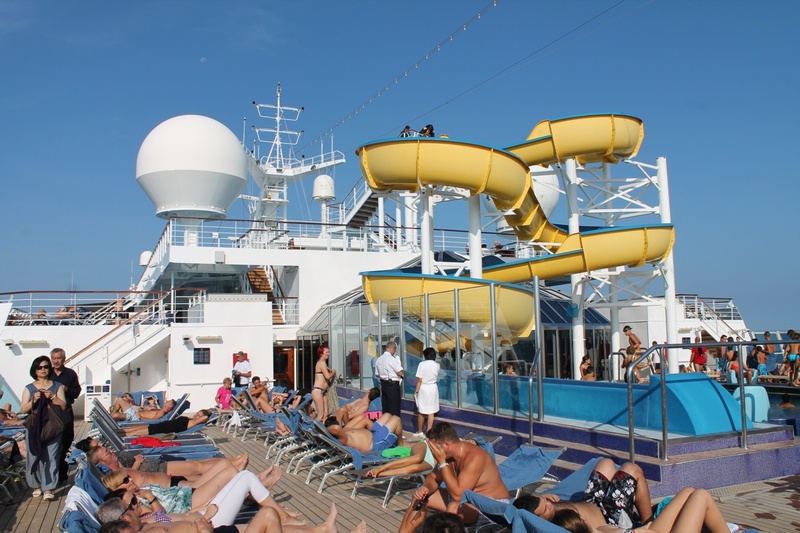 The Libra Deck features staterooms in categories S, BP, EP, and IP, as well as the Sole and Urano Pools, and the Prometeo Buffet Restaurant. 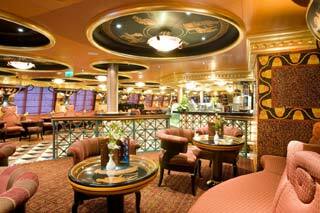 The Perseus Deck features staterooms in categories MS, BP, and IP. 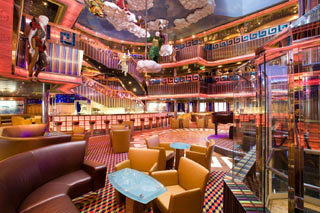 The Acquarius Deck features staterooms in categories GS, S, MS, BP, EP, IP, and CI. 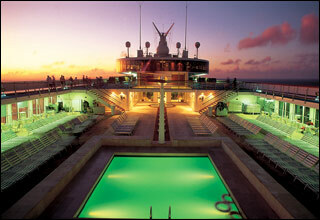 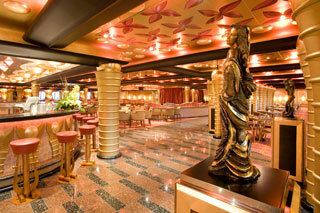 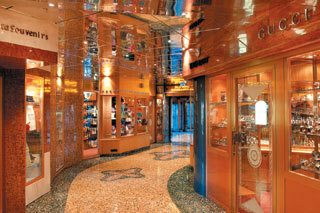 The Centaurus Deck features staterooms in categories MS, BP, BC, EP, IP, and CI. 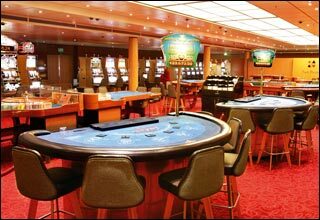 The Gemini Deck features the upper level of the Glove Theatre, a shopping gallery, Clio Library, Art Gallery, Card Room, Classico Ercole Bar, Apollo Grand Bar, Victoria Sports Bar, Juventas Cafe, Giano Casino, Virtural World, Cupido Dance Hall, Minerva Piano Bar, and the Luna Lounge. 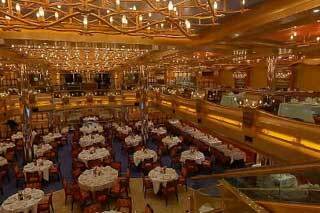 The Orion Deck features the mezzanine level of the Glove Theatre, Photo Gallery, Vesta Restaurant, Mercurio Lounge, Pan Disco, Internet Point, the Chapel, and the Ceres Restaurant. 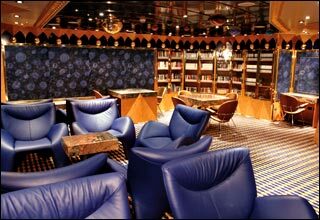 The Aries Deck features the lower level of the Glove Theatre, Pantheon Atrium and Bar, Samsara Restaurant, Vesta Restaurant, the Ceres Restaurant, the Tour Office, and Customer Service. 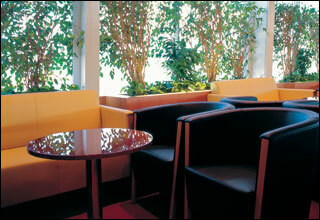 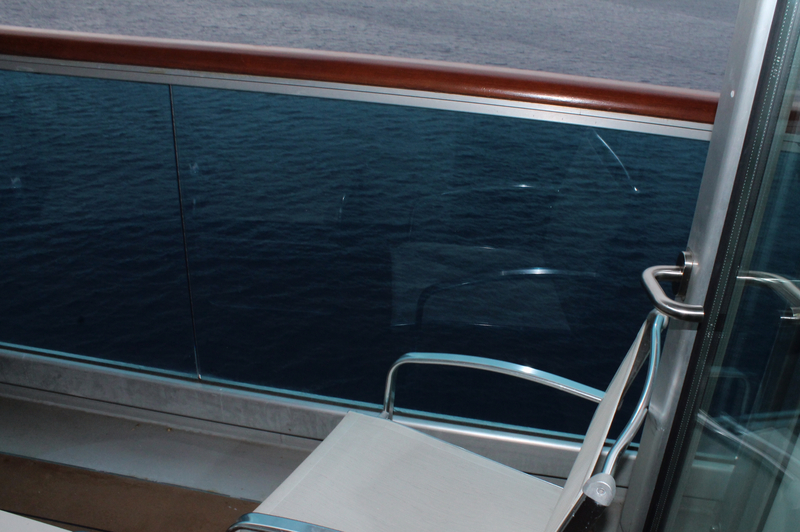 The Cassiopea Deck features staterooms in categories EP, IP, IC, and CI. 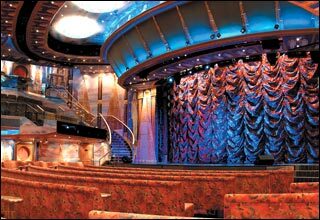 The Andromeda Deck features staterooms in categories EP, EC, CE, IC, and CI.